Tools of the Trade | What’s in my camera bag? Wedding season is about to kick off, and as is the tradition each winter, I sent my cameras and lenses off to be cleaned and serviced at Midstate Camera in Warwick, RI. I get my cameras cleaned twice a year to combat the beating they take when I am using them. I photograph lots of animals and am always shooting outdoors, and despite following best practices to keep as much dust and grime out of the camera bodies as possible, they do get pretty nasty inside. That makes for images that aren’t as clear, gear that doesn’t focus or work as efficiently as it should, and a shortened lifespan for the whole kit and caboodle. Thus, the investment of getting them looked at by Midstate is well worth the cost and it’s great to support a local business in the process. I just picked everything up yesterday and it’s all working so well, focusing so accurately, and looks like new! I got it all unpacked and back into my camera bag, a rolling Tenba Roadie II. I used a shoulder bag for a long time but it was hell on my back to lug everything around, so I upgraded to this bag a couple of years ago. It is a super bag! 1: Canon 5D Mark IV with the “nifty fifty” lens, aka a Canon 50mm f/1.8 lens. I tell all my camera class students to buy one of these lenses! So cheap and so fun. I shoot with it a lot even though it was a small fraction of the cost of all the other lenses to buy. 2. Canon 85mm f/1.2L II. The Mack Daddy of portrait lenses, this thing is a beast and is the newest addition to my kit. 3. Canon 100mm f/2.8L Macro. This lens is what I use to get ring shots, and it doubles as a pretty fantastic portrait lens also. 4. Sigma 35mm f/1.4 ART. This is a wide angle lens that I use a lot in my lifestyle sessions, and also for births. 5. Memory card holder. I have about a zillion memory cards. This is where they live. 6. 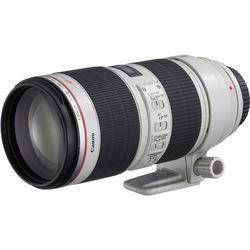 Canon 6D with a Canon 70-200 f/2.8L IS lens attached to it. The 6D is my backup camera; it doesn’t get used much but I have it just in case there are any issues with the Mark IV during a shoot or a wedding. The 70-200 lens is a telephoto lens that is perfect for photographing animals, horses, and takes some beautiful portraits also. This is Version 1 of this lens and Canon has come out with a Version 2 (in link), but if it ain’t broke, don’t replace it, and Version 1 has been chugging along like a machine. 7. Canon 600 EX-RT II flashes. There are three of these. I only take all three with me when I shoot weddings; usually I have just one or two with me for portrait sessions. One goes on my camera and the other two have lightstands that they sit on. All three “talk” to each other via radio signals. I can make one, two, or all three flash at any power level I want using the one that’s sitting on my camera as a trigger. This is called “Off Camera Flash” or OCF. 8. This is a Canon 85mm f/1.8 lens that I am just now realizing shouldn’t be in this bag because I have the other 85mm in there (which is much better of a lens). I will swap it out with my Canon 24-105 f/4L lens that I originally didn’t have space for. Add to this list enough Eneloop Pro batteries to make the world light up (for my flashes) and I think 5 Canon batteries for my cameras, along with filters and a charger and all sorts of other stuff, and these are my tools of the trade.